A task team to discuss how to upgrade Wits libraries for the future is set to meet starting next week. 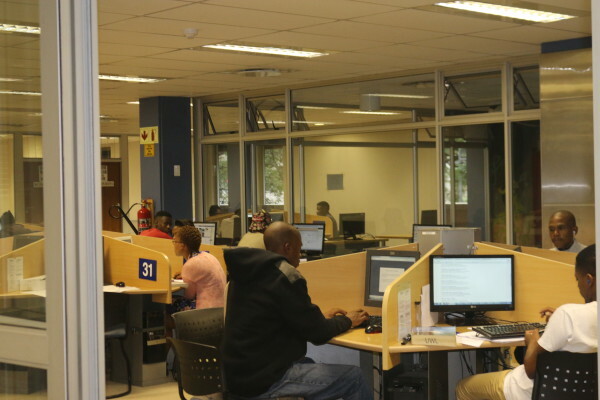 New Wits librarian Paiki Muswazi said the task team will deliberate on a budget, time frame and how it will conduct a survey among students and staff to determine other factors that must be considered when transforming the library. Muswazi said the libraries need to be re-imagined and developed into “21st century cosmopolitan libraries” that will be digitally friendly, visually attractive and ultimately cater for technologically-savvy students. “Book circulation over the past few years has been going down, while electronic use is more predominant. This shows that students and staff would rather go on the internet to search for information,” said Muswazi. His plans are to bring in more computers, white boards and open spaces, as well as new chairs and desks where a group of people can converse without disturbing other students. Muswazi said part of the transformation is implementing a Sierra Library Management System which will integrate searches through the library catalogue. This will enable the university’s information discovery to be more intuitive. SRC deputy president Motheo Brodie, who is part of the task team, says they will have a platform to re-examine what a library needs to have in the new digital age and will inform students about the online portals available to them. “The task team will also take into account the needs of students with disabilities who have difficulty in accessing the library,” said Brodie. Jessie Wainer, a first-year engineering student, said she welcomed changes and believes that digitalising the library will help students save time when doing research and the new spaces would help with group projects in a flexible manner.